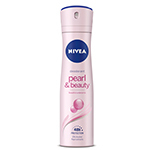 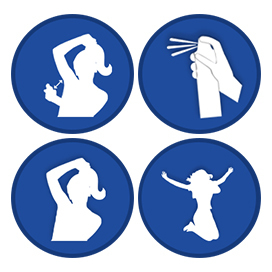 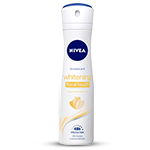 Care for your underarms with NIVEA Whitening Smooth Skin Deodorant. 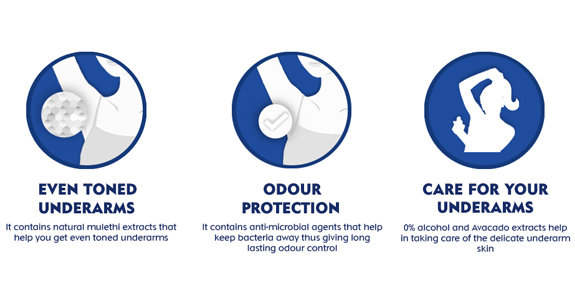 It not only gives you long lasting odour control but also gives even toned underarms due to the natural mulethi extracts that it contains. 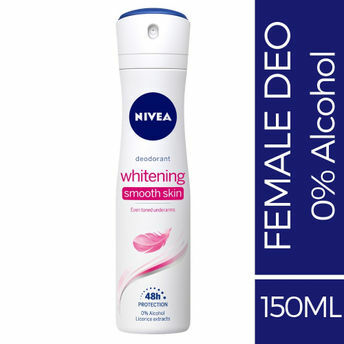 Its gentle formula with 0% alcohol and avocado extracts give you smooth underarms. 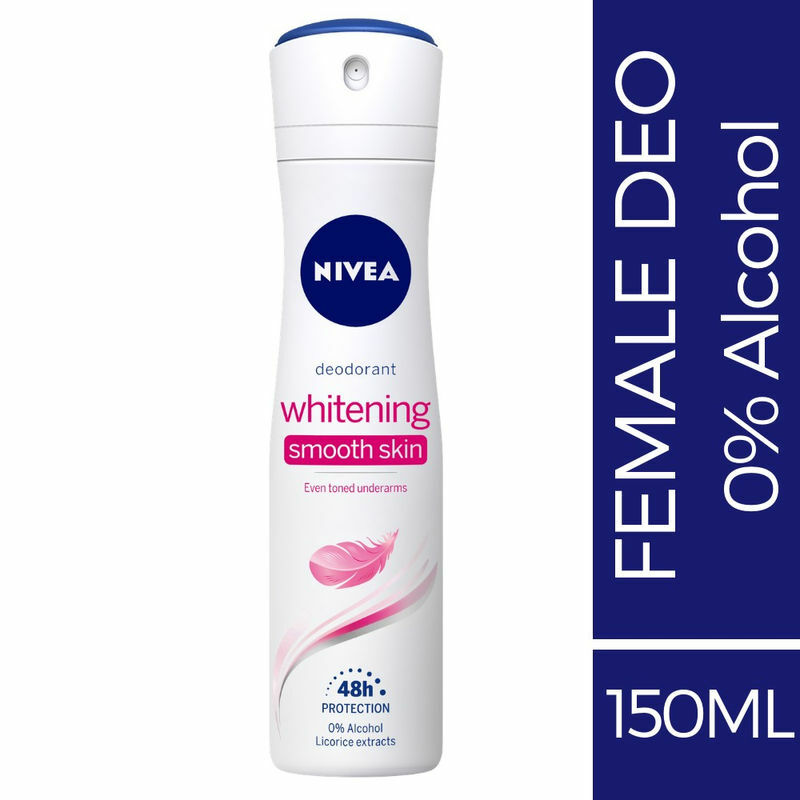 The NIVEA Whitening Smooth Skin Deodorant is dermatologically tested which makes it reliable for taking care of your underarm skin.